Sam Miller seems like an ordinary twelve-year-old boy, but the discovery of a mysterious box changes his life forever. He soon finds himself in a strange world full of adventure and magic where he must battle pirates, giant spiders, and an evil tyrant. 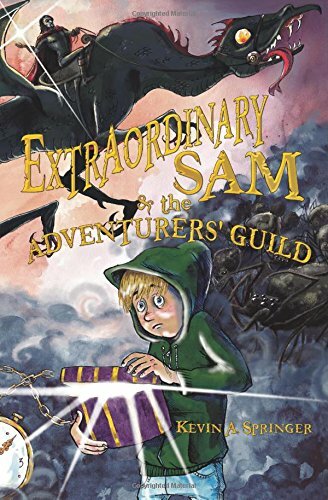 To survive, Sam must overcome his fears, solve riddles, and most of all, be Extraordinary. About Kevin A Springer (Author) : Kevin A Springer is a published author of children's books. A published credit of Kevin A Springer is Extraordinary Sam: And The Adventurers' Guild. Add your reply to Kevin A.